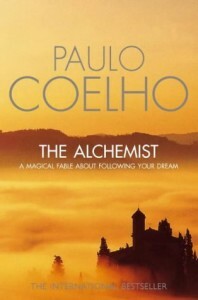 Paulo Coelho’s The Alchemist, originally published in Portuguese in 1988, is an international best seller that has been translated into over 80 different languages, making it the most translated book in history. The Alchemist tells the story of Santiago, a young shepherd boy from Andalusia, who, based on recurring dream, travels to Egypt in search of treasure. The main message of the book is an encouragement to follow your dreams. Another one of James Nicholas Ellis’s favorite books is Anthony Bourdain’s Kitchen Confidential. 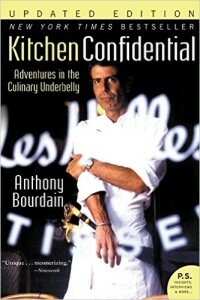 The New York Times bestseller, which was published in 2000, is Bourdain’s memoir about life in a commercial kitchen. The publication of the book launched Bourdain’s fame, and introduced America to a behind-the-scenes look at the wild and intense life of a commercial kitchen chef. 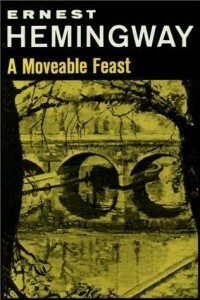 Published three years after his death in 1964, Ernest Hemingway’s A Moveable Feast is a collection of personal stories and accounts from Hemingway’s life in Paris in the 1920s. In the memoir, Hemingway writes about his favorite places in Paris, and includes stories about such famous literary figures as James Joyce, Gertrude Stein, F. Scott and Zelda Fitzgerald, and Ezra Pound.